You might not know it, but a world-class Nordic skiing destination is just a few hours away from Western Washington. 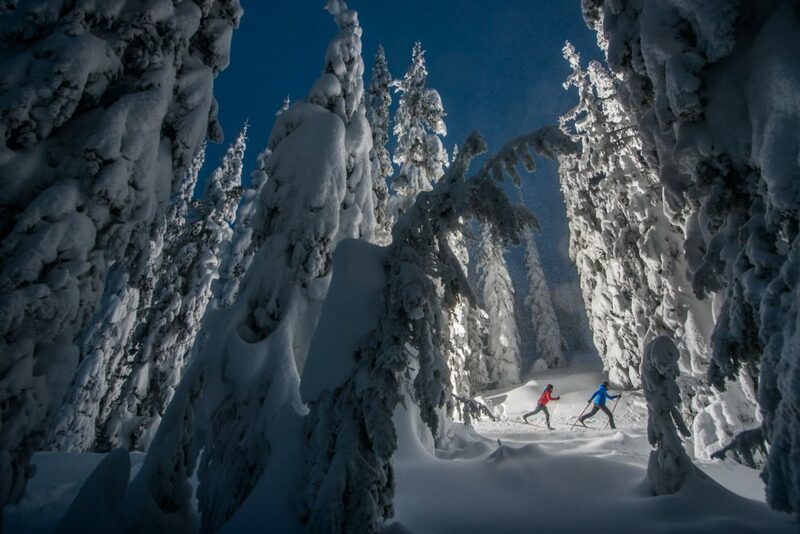 You’ll find Canada’s largest groomed trail system at Silver Star Provincial Park near Vernon, British Columbia. And if you visit before the end of the year, you’ll have a bonus: Olympic athletes training for the PyeongChang 2018 Games in South Korea will be skiing alongside you. 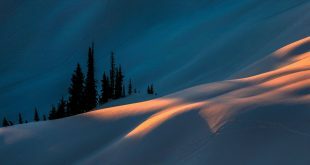 Every day, 105 kilometers are groomed for classic and skate-skiing at this sprawling network of trails at Sovereign Lake Nordic Centre and neighboring Silver Star Mountain Resort. The trail system is at high elevation (starting at 5,450 feet) and receives reliable snow annually, making it an excellent choice for early season. “Usually by the third week in October, we’re skiing,” said Troy Hudson, general manager of Sovereign Lake Nordic Club, which operates the trails next to the ski resort. It’s that early season snowfall and meticulous grooming that draws avid Nordic skiers and Olympic athletes. Teams from Canada and the U.S. are regulars, said Shane Landreville, Nordic and bike programs manager for Silver Star Mountain Resort. Before the 2010 winter games in Vancouver, teams from around the world visited. The trail system is unusual because it takes in acreage operated by the commercial Silver Star Mountain Resort, and the neighboring provincial parks land, operated by Sovereign Lake Nordic Club. The two organizations work together effectively to offer an excellent experience, Paulsen said. 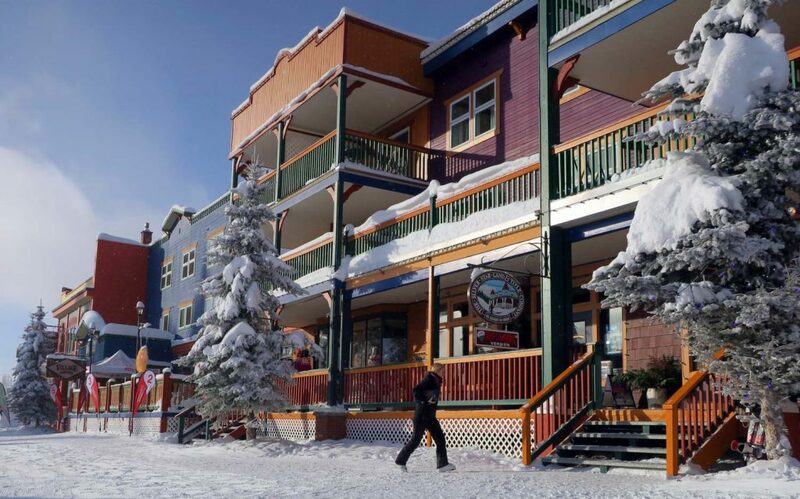 The alpine village offers nine on-mountain hotels and lodges, with 18 food and beverage providers, making it a lively place to stay during a visit. Besides alpine and cross-country skiing, the resort offers tubing, ice skating, fat biking, hockey, snowmobiling and snowshoeing. Families on extended stays can enjoy the varied activities day and night. “We have everything you need right out your door,” Landreville said. 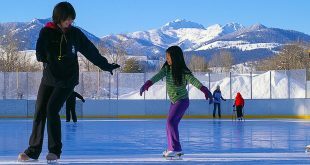 At the Sovereign Lake Nordic Centre next to the resort, it’s all about the cross-country skiing, where the Vernon-based club operates a full-service lodge with ski rentals and a ski school. The club traces its beginnings to the 1930s, when outdoorsy Vernon residents ventured into the snowy mountains 14 miles away to explore the backcountry skiing. 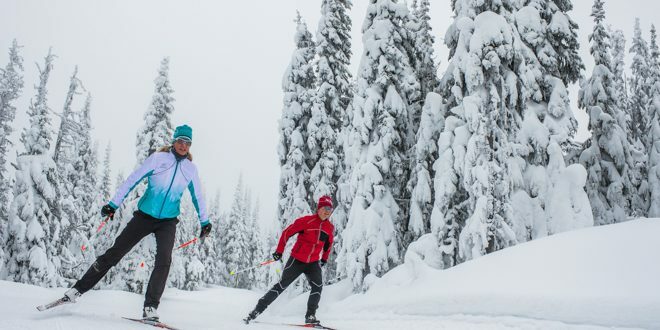 It wasn’t until the 1970s that cross-country skiing really took off at Sovereign Lake, Hudson said, and the club has now grown to become the largest in Canada, with 1,700 active members. Most members live in Vernon, but about 20 percent are regional, including many from the Pacific Northwest. 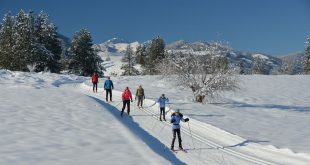 A large contingent comes from the Methow Valley in Winthrop, another major Nordic destination. Teams will begin showing up to train in November to take advantage of the early snowpack, and the race activity will culminate with a NorAm Series sprints event in early December, a qualifier for the U.S. Olympic Team, Hudson said. In the future, Hudson hopes Sovereign Lake can host World Cup events. The trails were the site of a World Cup race in 2005, and “that’s the direction we’d like to go again,” he said. The club is busily making plans to add more trails and lodge facilities to attract World Cup racing. But you don’t need to be a serious racer to enjoy the skiing at Sovereign Lake and Silver Star, Hudson said. Even if teams are training or races are taking place, the trails are always open for recreational users. One of the advantages of partnering with an alpine resort is access to lifts, Hudson said. The trail system winds to the top of the mountain at 6,280 feet, but for those who don’t want to climb, chairlifts are available. And next year, for the 2018-19 season, Silver Star is adding a gondola to its lift system, making the ride to the top even more pleasant. 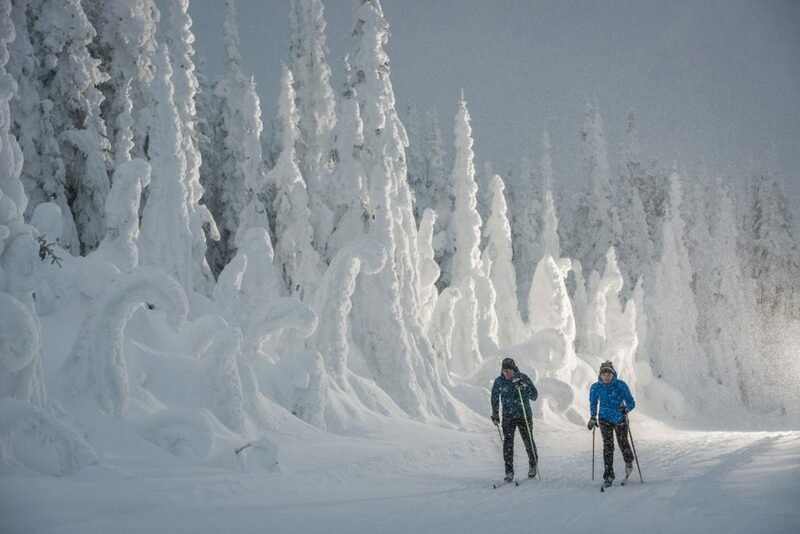 Because the skiing is so good, some avid Nordic enthusiasts have second homes at Silver Star. One of them is Jay Wiener, 62, of San Francisco, a regular on the Worldloppet (cross-country ski marathon) stage, who owns a condominium at Silver Star. Wiener visits in the early season to train, then returns in March for late-season skiing. “The quality of the grooming is fantastic,” said Wiener, who skis at events around the world. Besides the skiing, Wiener also simply likes the laid back vibe of Silver Star and Vernon. With a friendly, colorful village, ample snowfall and miles of groomed trails, what’s not to like? The resort’s Paulsen makes a pitch to get your season started early on the trails of Silver Star and Sovereign Lake. 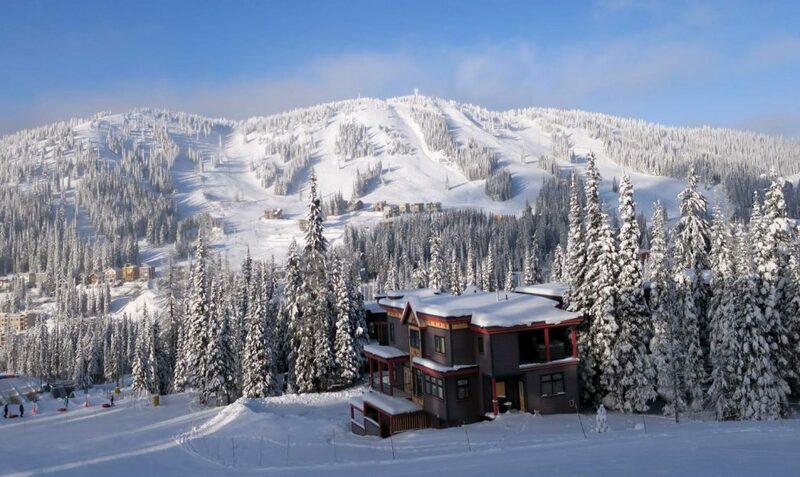 Getting there: Silver Star Mountain Resort is about five hours’ drive (284 miles) from Bellingham via the border crossing at Sumas-Abbotsford, British Columbia, then heading east and north via Kamloops to Vernon. The resort is 14 miles from town. Tickets: Silver Star-only or Sovereign Lake-only day tickets for adults are $18 (CAD). A combined ticket for both areas is $25 (CAD). Price breaks are given for multiday tickets. Early season Nordic packages: Silver Star offers special discounts during the early season. Go to the resort website or call (800) 663-4431. John Nelson has worked at newspapers in Seattle, Spokane, Memphis and Colorado. His outdoors stories have appeared in The Los Angeles Times, Seattle Times, The Spokesman-Review, SeniorsSkiing.com and Crosscut.com. 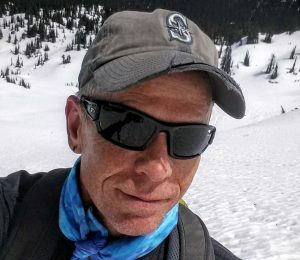 He lives in Seattle and enjoys all things outdoors: skiing, cycling, hiking and kayaking. Read his blog at SkiZer.org.